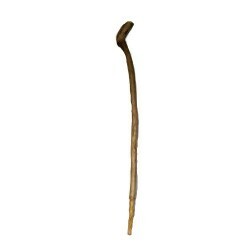 The carved design of this wand is intricately detailed and impressive. Flowers and swirled designs create the pattern of this wand.  Topped with a fuchsia colored ball sitting on a lotus flower. 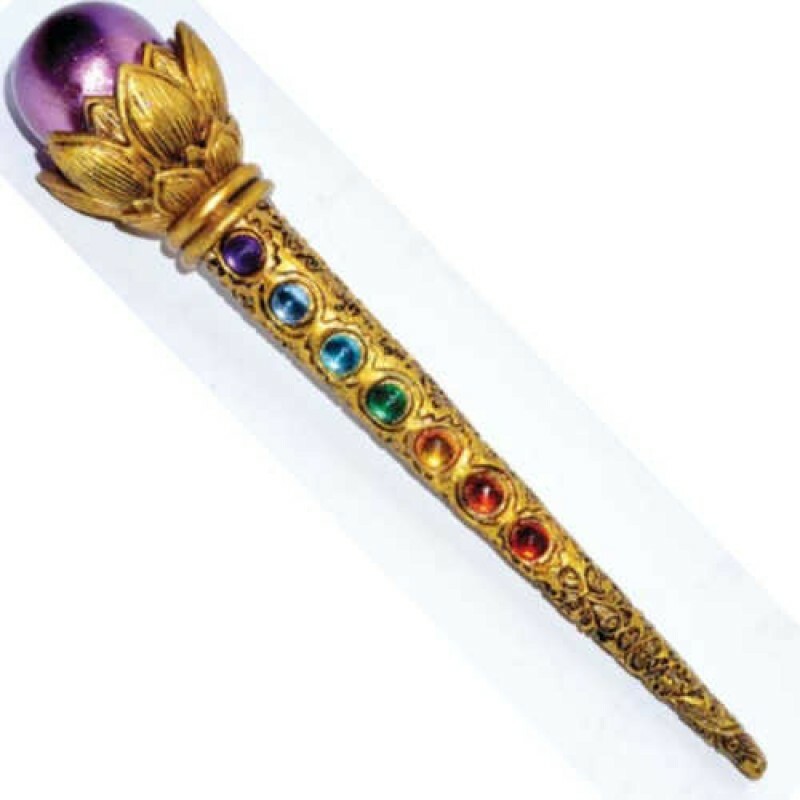 Gold toned with the chakra colored gems along the front. 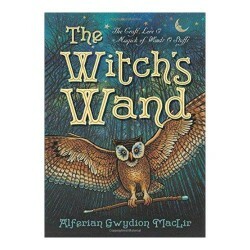 Discover the fascinating history, symbolism, and modern use of the wand with this comprehensive guid.. 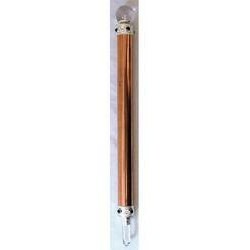 This beautiful, hand-crafted copper wand has a crystal ball on one end and a clear, crystal point on..
Ash wands are a useful tool for directing energy in any ritual or spell setting. 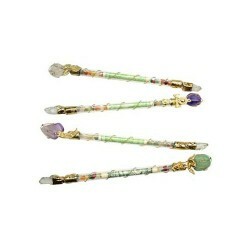 All wands vary grea.. 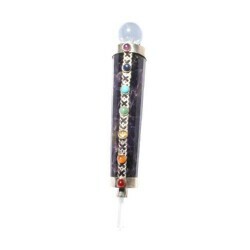 Featuring gemstones on either end with symbols of wealth in its shaft, this is a powerful aid in cha..
7 Chakra Amethyst Healing Wand 6"
Features seven colored stones, one for each of the chakras, running up it’s silver length which ends..